Guidebook to trekking in the Everest region of the Himalaya in Nepal, including Thame Valley, Lukla to Namche, Everest Base Camp from Namche and Gokyo (the Cho la and Phortse route), plus two routes in Tibet (the Rongbuk route and the Kharta Valley). Also describes the new Three Passes trek (Dingboche to Namche via Kongma La, Cho La, Renje La). 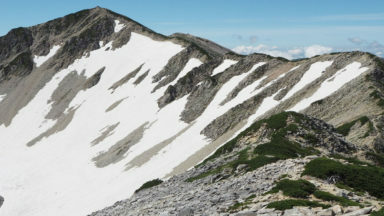 Spring and autumn are the main trekking seasons, when the weather is at its best. 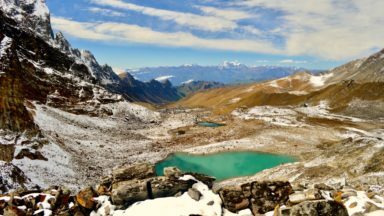 Summers are cloudy and rainy, winters are probably challenging and these seasons are chosen by fewer trekkers. Lodges along all the routes in the region enables trekkers to walk without camping equipment and food supplies. Pathways are clear and ascents moderate, but altitude is a challenge - acclimatisation must be well planned. In Himalayan terms it is a trekking area of moderate difficulty, with more demanding and easier variants available. Walk from Lukla to Everest Base Camp and climb Kala Patthar - the best Everest viewpoint. Visit famous Namche Bazaar, Tengboche Monastery and Gokyo. Cross Kongma La, Cho La and Renjo La on the Three Passes Trek. See Everest, Lhotse, Makalu, Cho Oyu and countless other peaks. Everest has an eternal appeal for mountain lovers and the classic trek to Everest Base Camp is high on the bucket-list of many trekkers. Fully researched after the devastating earthquake of 2015, this guidebook covers the most popular route in the Khumbu Valley, from Lukla via Namche Bazaar and Gorakshep to Everest Base Camp and Kala Patthar, the best viewpoint for Everest. It also describes the classic route from Jiri to Lukla taken by Tenzing Norgay and Sir Edmund Hillary, as well as a trek north to Gokyo with its spectacular lakes and the peak of Gokyo Ri. Finally, the Three Passes Trek, also starting in Namche, links the region's major passes and valleys. 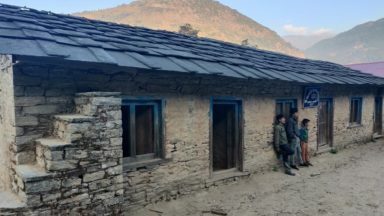 The guidebook includes suggestions for side trips and time spent in Namche Bazaar, Pangboche, Dingboche and Gokyo, as well as two treks approaching Everest from Tibet - Tingri to Rongbuk Everest Base Camp and from Kharta to the Kangshung Face. Trek 7 (Kharta to the Kangshung Face) was written by Bart Jordans. Comprehensive, versatile and accurate... A must buy for anyone planning the expedition of a lifetime. 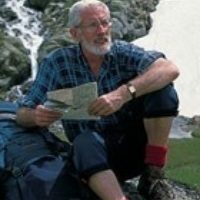 If there's a trekking guide that can be depended on to deliver all the practical information you need, it's one made by Cicerone. 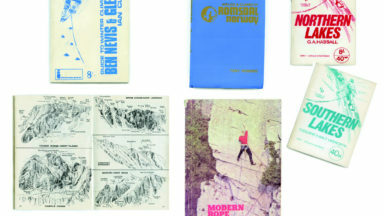 The publisher has proved time and again that its hiking guides are comprehensive, versatile and accurate, and the Trekker's Guide to Everest is no exception. 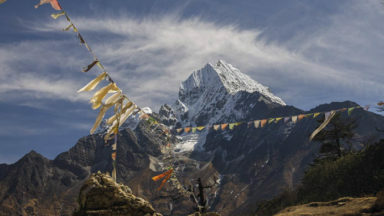 If you have your sights set on the world's tallest mountains this year, this excellent guide covers all the popular trekking areas such as Everest Base Camp and Kala Patthar, plus more unusual alternatives such as Gokyo Ri. The pocket-sized handbook provides detailed maps and descriptions for each trek, broken down into sections with helpful stats and handy pictures to help you identify unusual flora and fauna en route. Insider's information like Local handicraft markets and photography hot spots are an added bonus. A must buy for anyone planning the expedition of a lifetime. Radek Kucharski was born in Poland. After graduating in Geography he worked for a small GIS company for over 12 years, which he would periodically leave every few years for months-long trekking trips to Asia. He trekked in Nepal, Iran, Pakistan and India, getting to know the landscapes, the people, their cultures and himself. 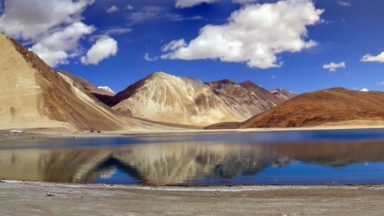 After his first visit in 2004, Ladakh instantly became his favourite destination, and he made a promise to himself to return with the task of collecting data for a guidebook. A few years later he began this work. Since that first visit to the Ladakh Range he has also changed profession. 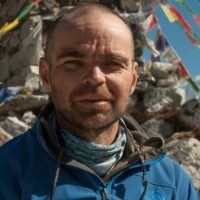 Now working as a tourist guide, which he has been doing since 2010, Radek lives in Warsaw and guides groups to India, Nepal and Scandinavia for one of Poland's leading adventure travel agencies.